When facing a cancer diagnosis, it can be challenging to keep one&apos;s spirits up. For women, the side effects that treatment may have on their physical appearance can make it difficult to leave the house and face the world. Penn State Hershey Inflammatory Bowel Disease Center (IBD Center) is a nationally-recognized facility dedicated solely to the diagnosis, treatment and eventual cure of patients suffering with inflammatory bowel diseases including Crohn’s disease and ulcerative colitis. 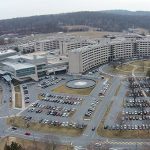 Penn State Milton S. Hershey Medical Center once again demonstrated strong financial performance in a fiscal year highlighted by continued transformation designed to meet the needs of a rapidly-evolving health care industry. Nurses at Penn State Milton S. Hershey Medical Center represented by SEIU Healthcare Pennsylvania voted today to ratify a tentative agreement reached earlier this week for a new three-year contract. When Jessica Capitani learned 10 years ago that her son Caden would be born with several medical conditions, she was devastated and scared. Her doctor, Dr. John Repke, listened and provided a shoulder to cry on. 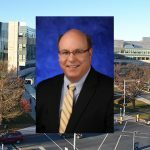 Penn State Milton S. Hershey Medical Center has selected Stephen Massini, CPA, to serve as the Medical Center&apos;s new chief financial officer, effective April 20. Penn State Milton S. Hershey Medical Center is well-positioned for the challenges and opportunities facing the nation&apos;s health care system, according to Dr. A. Craig Hillemeier, dean of Penn State College of Medicine, chief executive officer of Penn State Hershey Medical Center and Health System, and Penn State&apos;s senior vice president for health affairs. 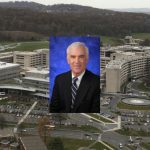 Former pharmaceutical company executive, Penn State alum, and philanthropist Peter G. Tombros has joined the Penn State Milton S. Hershey Medical Center Board of Directors.